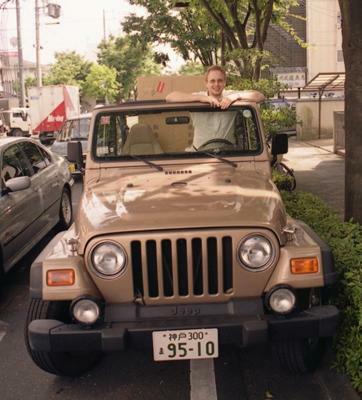 I bought my Wrangler "Coffee&Cream" (Desert Sand Pearl coating special for 2000) in Boston, then lived with it in Japan, and now drive it in my homeland Russia. So mine is indeed a go-anywhere vehicle. See a gallery at My TJ gallery: Through the Pacific"
I love it when someone takes their vehicle with them and takes photos. It's a bond that lasts. I'm sure you have more photos and I could look at all of them. I bet you everyone wants your Jeep in RU.